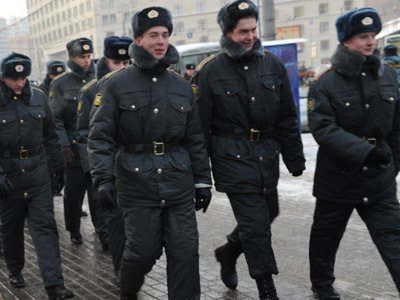 The mayor of Moscow, Sergey Sobyanin, says he is prepared to allow demonstrators to take to the streets, but is opposed to plans to set up camps, saying they would inconvenience ordinary residents. “No one is against street rallies or marches, if they are not in the city residents’ way. We grant places to everyone who wants to speak out. But there definitely will be no Maidan. We will not allow the setting up of tents in the city,” Sobyanin said in an interview with the popular Russian daily, Komsomolskaya Pravda. Sobyanin was referring to Kiev’s Maidan Nezalezhnosti, or Independence Square, in the Ukrainian capital, where opponents of the government set up a tent camp in 2004 which later became the main base for the “Orange Revolution” which eventually overthrew the country’s authorities. 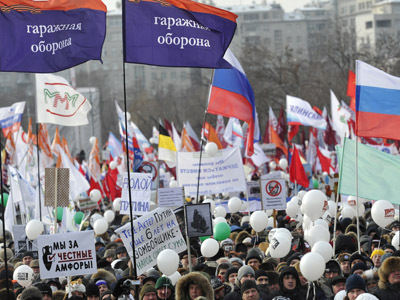 The mayor of Russia’s capital city said there would be no problem with providing dedicated places for rallies after the March 4 elections, but they must be well-chosen so as not to obstruct the workings of the city. “The organizers of these rallies want to start moving, want to get noticed. As a result, they choose the most meaningful places in the city. And these meaningful places are in the center – and this is what causes problems. We have no large squares in the center with the exception of Red Square and even it will not fit a really large number of people. Everything else borders the plan in which the demonstrators simply walk into streets and block the traffic. This is the major problem,” Sobyanin told the newspaper. The city authorities are currently negotiating venues for mass rallies involving a range of political forces, including the so-called “non-system” (ie: not organized in an official party and not represented in parliament) liberal opposition that took to the streets after the December parliamentary poll. 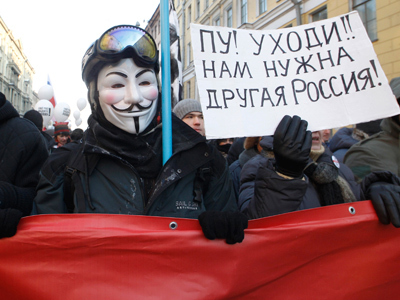 The protesters want to gather at Manezhnaya or Lubyanskaya squares right near the Kremlin. The mayor’s office turned down their request, saying the locations had already been reserved for a rally of supporters of the parliamentary majority. There is a risk the situation could turn dangerous, with several thousand opposition supporters saying in a poll conducted through social networks that they would gather in the city center with or without permission from the authorities. 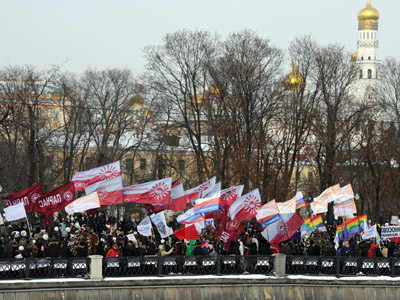 However Sobyanin himself maintains that the numbers involved in recent opposition rallies were large but not extreme, saying any risks were being exaggerated. “Yes, they gathered a few thousand people. But only one event, which marked City Day with a laser show on Sparrow Hills, gathered 800,000 people! 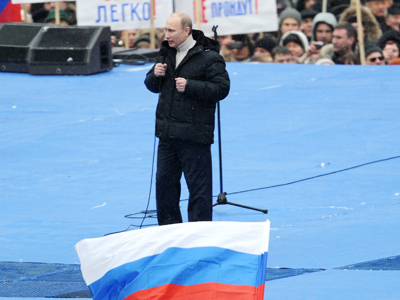 This show outnumbered all the rallies combined,” Sobyanin said.